Generate fake China UnionPay Debit / Credit card number with CVV for testing only! How to get an UnionPay card number? China UnionPay is the only domestic bank card organization in China, The UnionPay credit card numbers start with 62 and is 16-19 digit long. 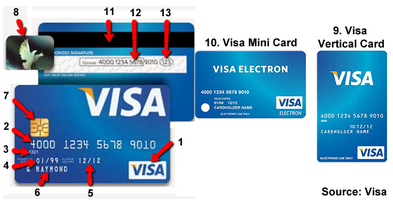 The credit card number must pass the Luhn Algorithm Check. It is the only interbank network in China excluding Macau and Hong Kong, widely accepted by the ATMs in Macau and Hong Kong.